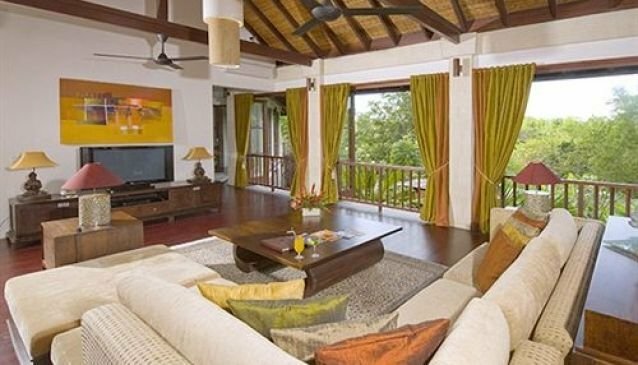 Gending Kedis Luxury Villas have been developed and are managed by GK Resorts brand , with our guests foremost in mind. At Gending Kedis, Jimbaran, there is a choice of 21 villas, configured with 1,2,3 & 4 bedrooms, each with private swimming pool, offering comfort, seclusion and privacy, in an area of outstanding natural beauty on the Island of Bali. The resort offers full service, with Alcedo Restaurant and Bar, Meeting rooms offering Wedding arrangements, Spa, Salon & Fitness Centre, hair salon and large lagoon swimming pool. The Resort is close enough to many activities in South Bali, and is also close to the famous Jimbaran Beach on the bay, where numerous visitors come each evening to witness the awesome sunsets and enjoy fresh seafoods which have landed on Jimbaran Beach the same morning. A walk along the flat Jimbaran beach is recommended. You will probably end up taking photos with loved ones in front of the colourful Jukung fishing boats that ply the local waters daily.